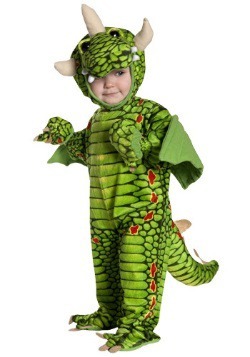 This costume is the perfect way to transform your little one into the most lovable dragon in the Western Hemisphere! Sure, this dragon can spew flames just like the next dragon, but she's not all about the destruction! This dragon also enjoys the finer things, like flying through the hills and arts and crafts! Which are certainly preferable hobbies compared to what most dragons spend their days doing. Most dragons just want to burn things down, but just think of all the better ways you could use the skill of firebreathing! You could open a restaurant, where people can have their food cooked by dragon fire. You could heat peoples houses (not burn them down, just heat them to a pleasant temperature. But you see, the options are endless when you have these kinds of skill, we hope your toddler does more with their firebreathing than just burn stuff! 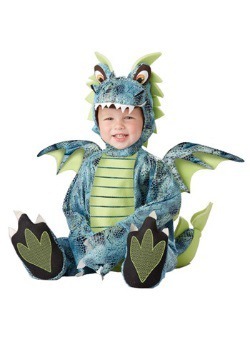 This costume comes with everything you'll need to turn your toddler into the cutest little dragon! 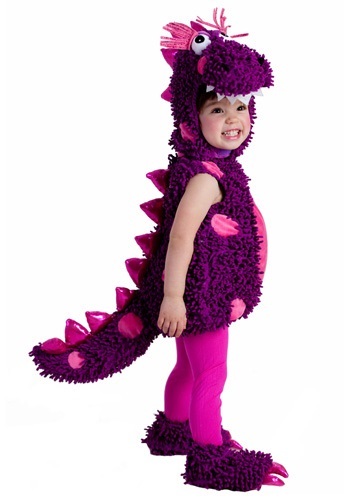 This costume starts with a purple romper, which is fuzzy and comes with pink accents like scales and spots! 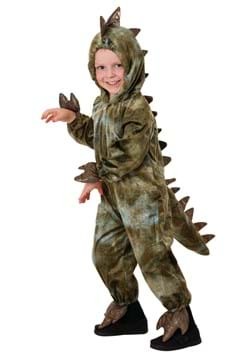 Then, you'll be wearing a purple dragon hood to match your romper! 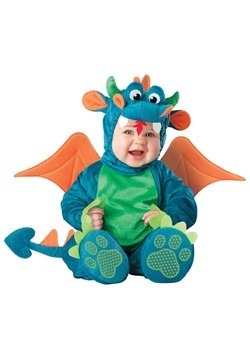 It comes with big eyes, hair, and soft teeth, everything you would expect on a sweet little dragon. 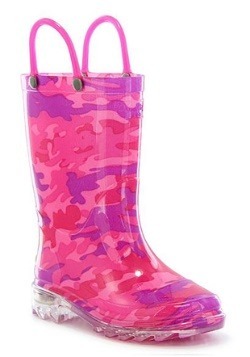 The final touch for this costume are the little boot covers they'll be wearing on their feet! 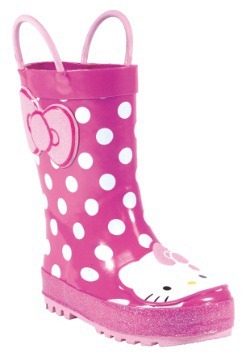 They even have claws on them, just like a dragon would have. When you take your dragon out trick or treating, you'll want to be sure that they are trained well! A naughty dragon on the loose could prove dangerous to a whole neighborhood. Just make sure that they remember their pleases and thank yous, and that is about all that there is to it! Please and thank you are all it takes to have a well-behaved dragon.